This weekend, sweep her away to one of these fine out-of-town resorts, all within a couple hours of home, and all with availability as of yesterday. Throw in some flowers, and get ready to reap the rewards of exceeding expectations. 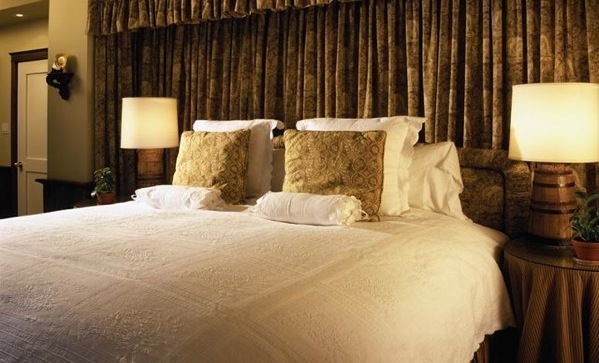 Book the Gauguin suite, which overlooks the Niagara Gorge and offers a double-sized shower. Innkeeper Helena, who trained at London’s esteemed Savoy Hotel, will cook you a gourmet breakfast of poached pears and French toast soufflé. From $125/night (minimum two-night stay). 5239 River Rd., Niagara Falls, 905-374-1681. In the heart of The Stone Town, named for its limestone architecture, this Victorian mansion sits on a 19-acre property. Explore hiking trails and then refuel on local cuisine or homemade ice cream. Score brownie points by taking her into nearby Stratford for the night. $135/night. 300 Thomas Street, St. Marys, 800-268-8243. This restored 1898 country manor boasts 15 years of spa experience. Woo her with dinner prepared in the award-winning dining room by chef Jonathan Gushie, once the executive chef at the acclaimed Four Seasons restaurant, Truffles. From $175/night. 1 Langdon Dr., Cambridge, 519-624-3203. Two-storey lofts are equipped with a fireplace and Jacuzzi. Emerge only for a side-by-side massage and meals paired with regional Cave Spring wine. Availability on Friday and Sunday, from $289/night including breakfast. 3845 Main St., Jordan, 800-701-8074.